Rally On The Rocks (ROTR) staff are hard at work preparing for the biggest rock rally the UTV industry has ever seen. 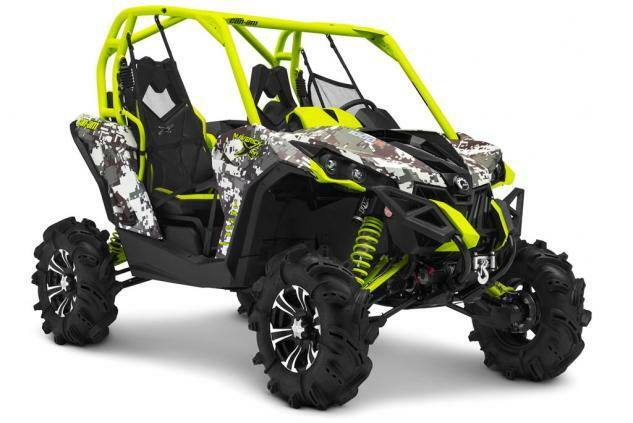 2 NEW Demo Tracks have been designed to give attendees a chance to drive not only their own vehicles through the courses but also to demo a couple of the industries hottest UTV’s from Arctic Cat and Can-Am. This will be your chance to actually get to test these UTV’s on a real life off-road track taking the machines to their limits! In addition to our new Demo Track we also want to recognize our quality list of vendors and sponsors coming on board for the 2012 Rally On The Rocks! 2012 will play host to the largest vendor row the event has ever seen. Most all of these vendors will be on site to answer any questions you may have in regards to products, installation, and accessories. As always there will be some smoking deals to be had so you definitely don’t want to miss out. Always remember to support the companies that support you! Come join us in beautiful Moab, UT and drive the greatest, coolest, gnarliest, and most scenic trails in the world in your UTV/SXS. Come see the latest advances and accessories the UTV/SXS industry has to offer and don’t forget about the catered dinner and raffle! Due to the success of last years raffle, ROTR was able to donate $2500 to Take Back Utah which helps preserve our right to enjoy the trails in this great state via our off-road vehicles. We are also excited to mention that this year we’ve added the Sagebrush Coalition, a Moab local trail support group to support the rally and our attendees while on the trails adding even more experience to our already experienced group here at ROTR! Online registration is from March 1st to May 6th and is $80.00 per person. Walkups at the event are $90.00 per person. Thank you to all who volunteer, support, sponsor, and attend – we’ll see you in Moab!! We offer trails for the beginner with incredible scenery and vistas to the most challenging and demanding that will be sure to test driver and machine. 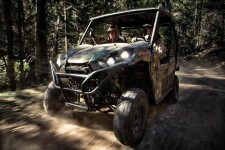 Each day we have numerous guided, utv friendly, trails planned throughout the Moab area. Many including casual scenic routes and demanding technical routes for the most experienced operators.